The Rockefeller Center Christmas tree is a world wide symbol of the festive period in New york city. 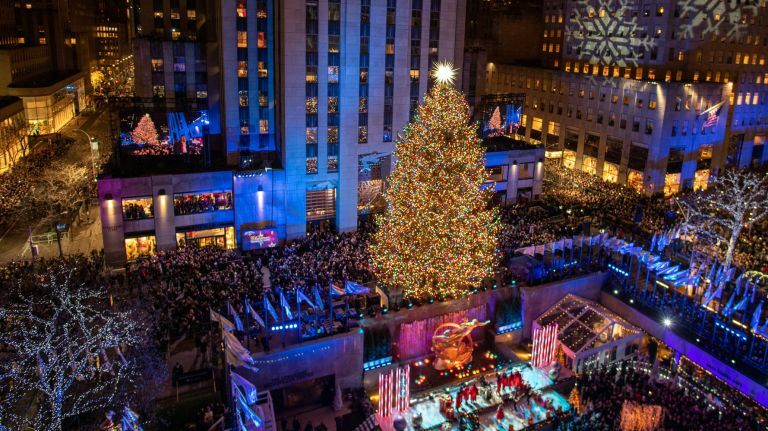 The 2018 Rockefeller Center Christmas tree was lit for the first time last night with a crown cheering on, live performances from 8–10pm, at Rockefeller Plaza, between West 48th and West 51st Streets and Fifth and Sixth Avenues. The Tree will remain lit and can be viewed until 9pm on January 7, 2019.